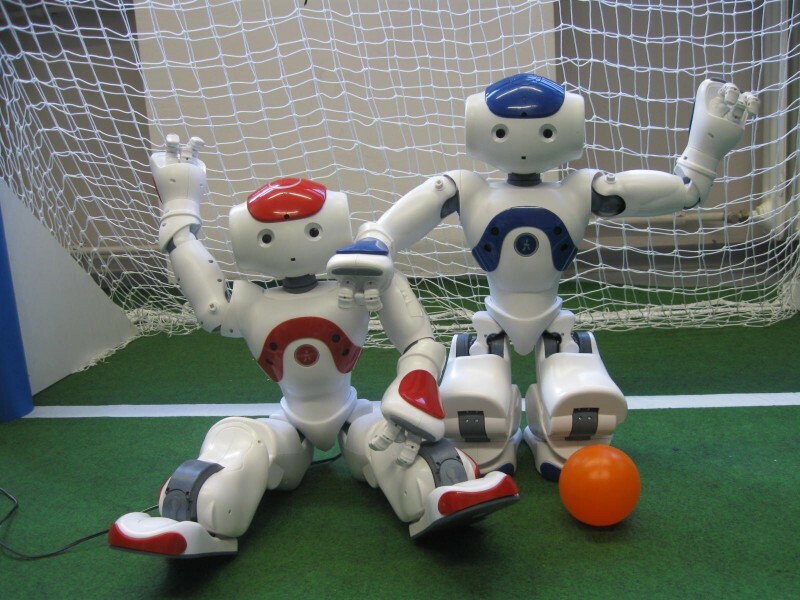 We have a small team of humanoid soccer bots (“Aldebaran Nao”). See the RoboCup page. 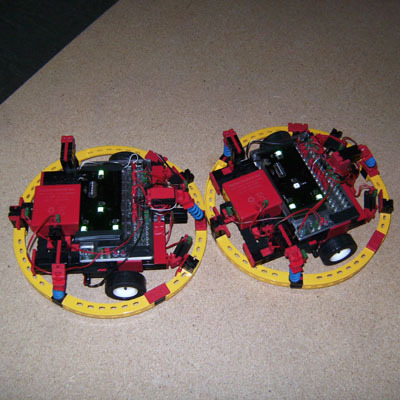 A number of standard FischerTechnik ROBO Mobile Set robots serve for the purpose of playing Robot Sumo. In this game, robots catch each other. The localization task is performed using a camera mounted to the ceiling which provides a bird’s eye view of the playground. The control of the robot is very similar to that in FISH-I. We use this robots for our courses on robotics; see “Praktikum Robotik und Visuelle Sensorik” or “Praktikum Visual Computing” (WS08/09) at the VSI pages on teaching. 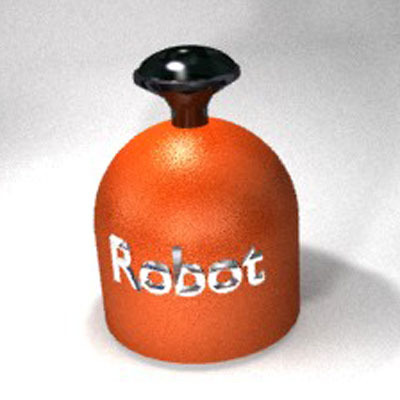 The orange robot is actually a simulated robot equipped with a wide-angle omnidirectional camera. The simulation takes place in Blender, yielding photo-realistic images of the robot’s view inside a virtual office environment. Orange robot is used for experiments at VSI and also for teaching! See “Praktikum Visual Computing” (WS07/08) at the VSI pages on teaching. We use a CrustCrawler Robotics AX-12+ Smart Robotic Arm for experiments at VSI and also for teaching! See “Praktikum Visual Computing” at the VSI pages on teaching. 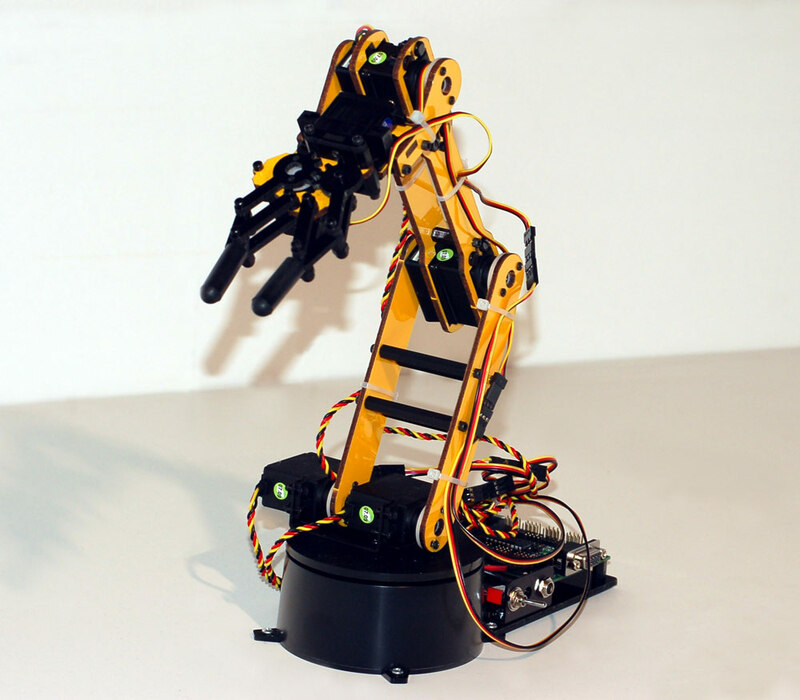 A c++ library for controlling this robotic arm can be found here: dynApi – Robotis Dynamixel c++ progamming api. 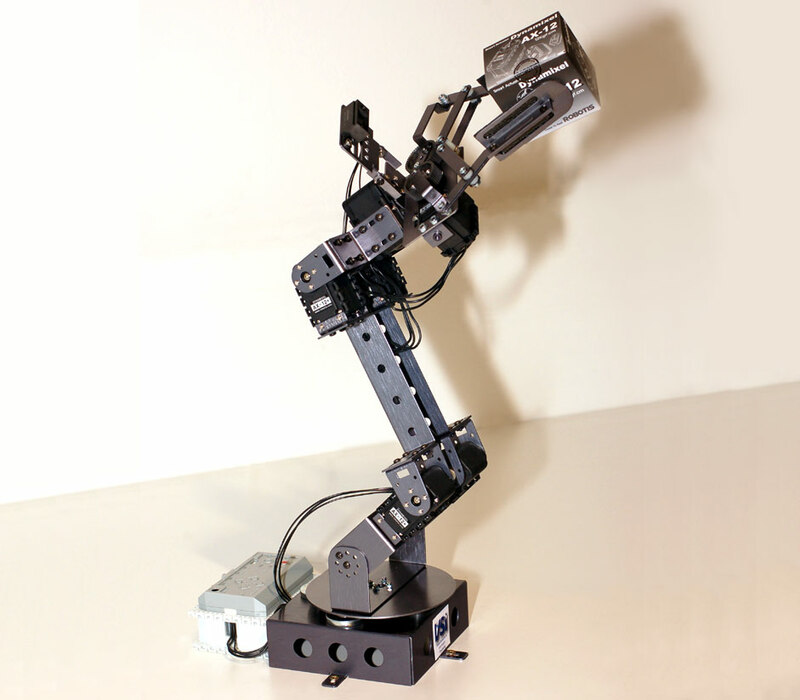 More information about our Lynxmotion Lynx 6 Robotic Arm. We are trying to control the helicopters from a PC. 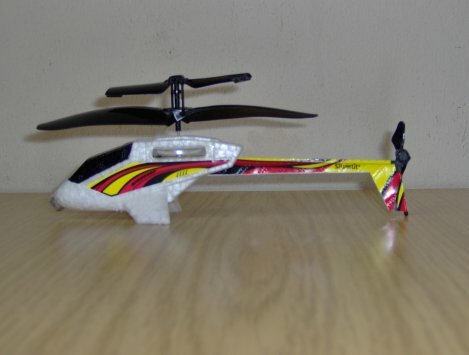 To do this, the IR remote control of the helicopter is replaced by a AT90USBKEY microcontroller board, connected to IR LEDs. Our next goal is to track the position of the helicopter with a visual sensor in order to have a complete feedback loop for PC control. More information can be found at our Helicontrol Project Overview.